OfficerStore, a division of Witmer Public Safety Group (WPSG), the nation’s leading multi-channel distributor of public-safety equipment, supplies, training, and service, is excited to now offer the new ProTac HL-X: a dual-fuel, high-lumen tactical light. 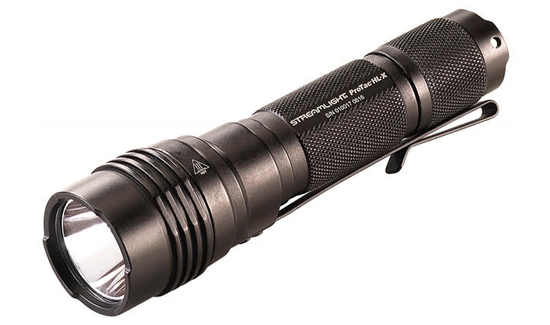 Released at January’s SHOT Show, and available from OfficerStore since early April, Streamlight’s desire to consistently produce ground-breaking technology has led to the creation of the ProTac HL-X, which offers a number of appealing features, including up to 1,000 lumens of output coupled with the flexibility of multiple power sources. Representing the evolution from Streamlight’s ProTac HL, the new “X” suffix in its name is how Streamlight signifies that it is capable of using dual-fuel sources, which greatly alleviate down time. Its durability, versatility, and ease-of-use all combine into one technologically advanced package, thereby making the ProTac HL-X tremendously valuable for any law enforcement professional to use when on duty. Constructed of durable aircraft aluminum, its extremely bright C4® LED can easily illuminate objects up to 330 meters away and is useful for a wide variety of law enforcement-based applications, including conducting traffic stops, performing building searches, or any other task that requires illumination. An ideal light to have handy while in the field or on-scene, its durability is forged by sturdy aircraft aluminum, which makes it impact-resistant up to two meters, so you can be assured that it’s up to any challenge you throw its way. Additionally, it is IPX7-waterproof down to one meter for 30 minutes, and its anti-roll head won’t allow it to move, should you need to place it down somewhere. Don’t miss out on all the excellent benefits the ProTac HL-X has to offer. Visit OfficerStore.com for more information and to get yours.